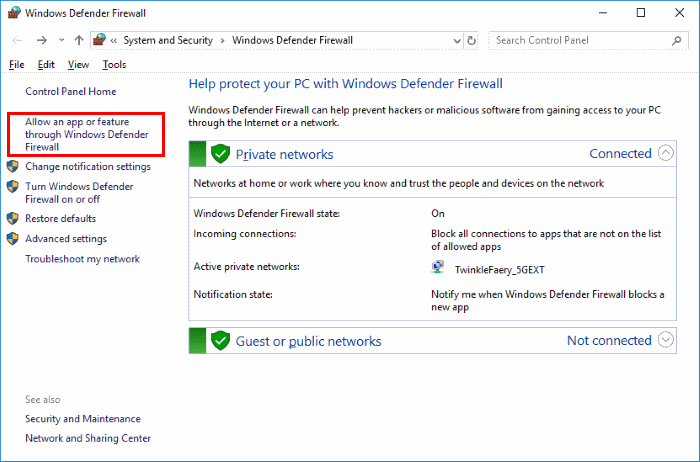 In Microsoft Windows 10 you can set the Windows Defender Firewall to block or unblock certain applications. Here’s how. Select the “Start” button, then type “firewall“. Select the “Windows Defender Firewall” option. Choose the “Allow an app or feature through Windows Defender Firewall” option in the left pane. Unchecking the box to the left of the application name disallows it from accessing network resources, while checking it allows access. You can also check the boxes to the right of the name labeled “Private” or “Public” to allow and disallow the app on private or public networks respectively. If the program you wish to block or unblock is not listed, you can click the “Allow another app…” button to add it. Choose the application in the list and select “Add“. If the program is not in this list, use the “Browse…” button to select the program file manually. Is there any way to do this without Administrator rights? Settings for some pro, doesn’t change! 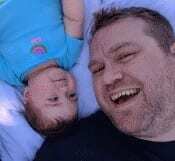 its somehow locked, as if a registry rule is overriding this windows rules. nothing helps. i’ve been trying to hook up my wifi scanner and i’ve been doing this for hours without any success. i’ve followed all the different procedures on line including going into the defender advanced settings and allowing file and printer sharing rules and still does not work. 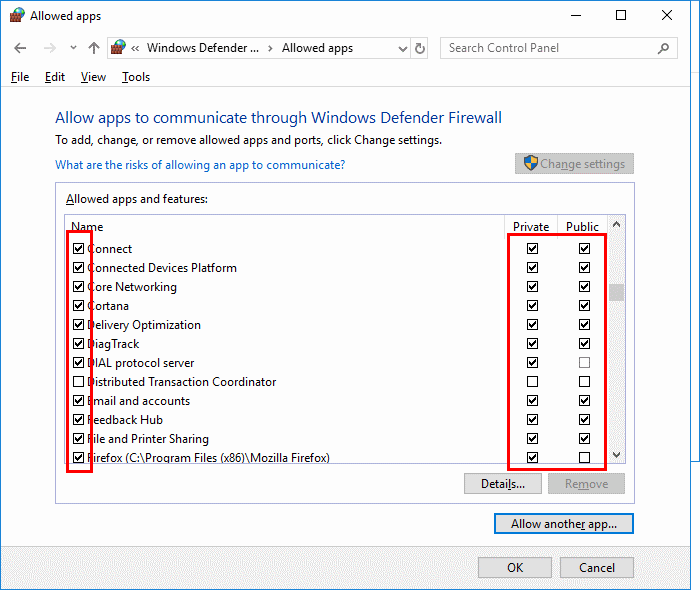 What if you cant click the “Allow the app or feature through windows defender firewall”? First, I hope this note finds all well with you and yours. Second, thank you for your effort here. 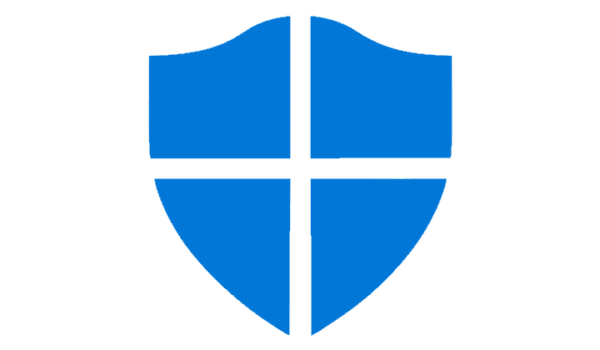 What do you do when Windows Defender keeps resetting Microsoft Apps you have unchecked/deselected in Windows 10 Home or Windows 10 Pro? Example: Let’s say I wish to block Cortana (or any other app). I then follow your instructions here and uncheck/deselect all the boxes pertaining to Cortana and then close the window. Let’s say, that for whatever reason(s), I return to the window in your example only to find that Windows has reset/unblocked Cortana without notice and without my permission. This would happen all the time in Win10Home; and I would like to know if this would happen in Win10Pro and what to do about it if it does.